Jim’s obituary below will be of interest to his Washington University colleagues and chronicles his years at BCL and ERL. In January of 1967, G. James Blaine III, M.S. (Jim) started as a research assistant in the Biomedical Computer Laboratory (BCL) at Washington University’s School of Medicine. His early work focused on computer-to-computer communication. Although he became active in a broad range of research at BCL, advanced computer networking was among his leading contributions throughout his 25-year career at BCL followed by 15 years at the Electronic Radiology Laboratory (ERL). Jim earned his doctoral degree (D.Sc.) in 1974, the same year in which he became Assistant Director of BCL. His collaborations and teaching also earned him appointments as Associate Professor in both Electrical Engineering and Computer Science. Then in 1980 he was promoted to Associate Director of BCL. For networking in the mid 1980s, “Ethernet” was in an early and expensive form. A less complicated alternative seemed worth investigation. Jim and a few other Washington University researchers proposed TerraNet, a simpler networking alternative. CSK, a Japanese conglomerate, became interested in the idea and Jim and several colleagues including Alex Gray traveled to Japan to pursue development of the idea. However, Ethernet became dominant and CSK’s interest in TerraNet waned, but Alex Gray, then a graduate student working with Jim, began a long and nationally successful career in networking. Another outcome of this effort was the development of a grant application by Jim and others that was submitted to the National Institutes of Health. The application was successful and led to a grant that supported the construction of a high-speed communications network that linked the two-mile-distant medical and Danforth campuses. 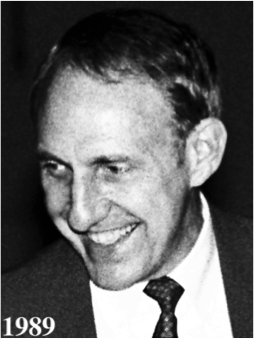 Jim also worked on development support for the new microprocessors of the 1970s, the design of a Universal Storage Device (USD), and a data acquisition system for differential photon-flight times for so-called “Super-PETT.” In addition, he was a key contributor to clinical applications such as radiation treatment planning, intensive-care patient monitoring (both cardiac and surgical), and medical information systems. Broadly, Jim also was involved in other more focused medical collaborations in ophthalmology, neurology, neuro-anatomy, radiology, cardiology, physiology, and genetics. Jim’s research in digital imaging and networking were particularly relevant to new research in ‘electronic’ radiology. Accordingly, by 1986 he was jointly appointed as Associate Professor of Computer Science in Radiology and Co-Director of the newly founded ERL. Remarkably, for a non-MD, Jim was later awarded a full Professorship in Radiology. At his BCL beginnings Jim was a talented engineer who became increasingly more versatile as his research progressed. Moreover, he was a highly respected leader who had the imagination to take BCL in productive new directions. His evolving association with Radiology made sense, however; he was needed there as electronic radiology was emerging. The first venture into electronic radiology at Washington University occurred in 1981 when Jim, Gil Jost and Jerry Cox presented a paper at the Newport Beach, SPIE sponsored, First International Conference on Picture Archiving and Communication Systems for Medical Applications. That paper began a productive collaboration between BCL and Radiology that led to the 1986 founding of ERL. Originally, the triumvirate of Cox, Jost and Blaine led ERL, but Jim took over the leadership and moved to ERL full time in 1992. Jim’s leadership of ERL was crucial in the pioneering work done at Washington University to make electronic radiology an international reality. After stepping down as Director in 2004, Jim retired from ERL in 2006, but the laboratory he founded continued to drive forward the transition to digital imaging in Radiology. This entry was posted in Uncategorized by nbattersby. Bookmark the permalink.